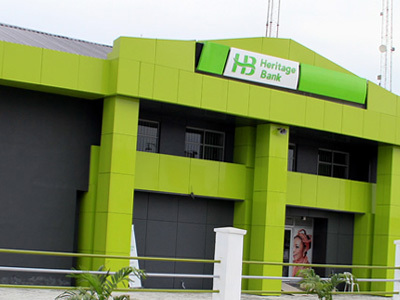 Heritage Bank Plc has disclosed plans to revolutionise the agricultural value-chain field, particularly the rice farming that will enhance agribusiness and aid economic development through its direct participation in the much lauded Anchor Borrowers’ Programme (ABP) of the Central Bank of Nigeria. Group Head, Agriculture Finance, Heritage Bank, Olugbenga Awe, in a speech delivered at 3rd edition of Rice Investment Summit in Abuja in collaboration with New Partnership for Africa Development (NEPAD), said the bank’s drive to support rice production was borne out of the conviction that agribusiness is profitable and act of patriotism to achieve food security and sufficiency in the country. He, however, noted that the challenges facing rice production were subset of myriads of constraints facing agriculture in general, as most farmlands are located in the rural areas with poor road network and electricity supply, majority are financially excluded with no access to banking services. He hinted that Heritage Bank is effectively tackling the bottlenecks, since it has long identified the opportunities in agribusiness before the collapse of crude oil prices through its various programmes, which will contribute to the projection for year 2020 in the production of 7.7million metric tons of milled rice or 10.8million metric tons of paddy rice at milling recovery ratio of 62per cent. On the Heritage Bank’s involvement in ABP, Awe noted that the bank has strategically put in place measures to ensure fidelity to contract agreements and adherence to fair trade in making sure that farmers earn decent profit for their efforts, which is critical to the sustainability of the programmes. According to him, the bank’s participation in the programme has paid off as we currently have a rich pool of farmers’ data to support grains production. “The registered farmers in our database can easily be identified and trained with the support of extension services to plant any grains as the season demands. This flexibility provides continuous cash flows to the famers and ensure that more farmers are enlisted to join the programme,” he said. Also, in furtherance of its commitment to creating jobs and wealth, the bank launched a N500 million Young Entrepreneurs and Students (YES) Grant in Lagos. The initiative, which is in partnership with the Nigerian Youth Professional Forum (NYPF), will, according to the bank, support students and young entrepreneurs toward socio-economic freedom.